What are iPhone compatible Speakers? Best Portable iPhone Speakers - Bring the music and let others enjoy! If you are new to iPhone Speaker Systems, it will be a learning curve. Fortunately, our goal at iPhone Speaker Reviews, is to help you figure out what you need through well thought out information. This list is our top five tips for finding the best iPhone speaker. This a starting place for learning how to select iPhone speakers (links to a full guide). Tell us what you think of our list by contacting us. When searching for an iPhone speaker do not let price be the most important factor. First look for a company that is well established, has a good customer service, and generally well regarded among other iPhone speaker users. Head over to our Brand Guides to learn more about each brand. Our review section will reflect our favorite brands and speaker choices. Knowing which features to look for puts you in control. Features vary based on the speaker type. Read our guide which explains different types of iPhone speakers. Design pulls together all aspects of a good speaker system. This means well thought out style, button layout, ease of use and quality.  The reason you are looking for an iPhone speaker system is for an easier way to play your music out loud. The convenience factor takes into account when, where and how you can use yout iPhone speaker system while determining how easily it is to use it. Many people go for price first, I go with price last. Yes, it is still an important factor, but ensuring you will enjoy the full life span, quality and design of your iPhone speaker is way more important than a few more dollars. It can be easy to find a discount, check back here for frequently posted coupon codes from some of the manufacturers. Guides - When looking for the best iPhone Speaker, It helps to know what you are looking for. Our Guides section will help you understand the basics of selecting the best iPhone speaker system. Editor Top Picks - The Editor Top Picks section provides a list of the best reviewed iPhone speaker systems. Expert and user reviews combine to help you make an informed decision. Brand Guides - If you are looking for even more insight about what each brand of iPhone speakers has to offer, check out our Brand Guides. Speaker Reviews - This page lists all products with reviews. If you have found this information helpful, and purchased an iPhone speaker, please help by leaving a review. Not finding what you are looking for or you want to help out?